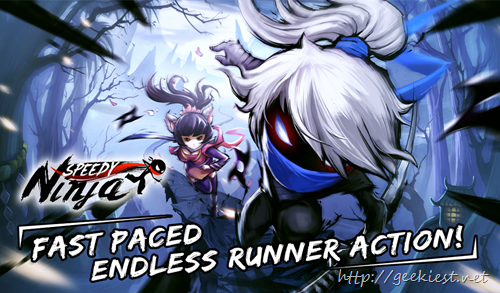 Speedy Ninja is an endless runner game for your Android devices. The program is currently under closed beta. The game have a classic mode and a warp mode. You will have to earn 500000 points on classic mode to open the Warp mode. You can either play as a guest or by connecting it to the Facebook, to save the progress across all your devices. All the progress you made in guest level will be lost when you register on Facebook, so if you planning to use Facebook do it at the first step itself. When you complete the tutorials, you will be getting $10 worth Jade (in app currency), which you can use to upgrade your character. If you are interested in getting a beta invitation of Speedy Ninja, you can use this sign-up page and will have to go in the Google Plus group. You will get a notification email when your request is accepted, it may take some time. After the approval , join the Google+ group and install the application from Google Play store.